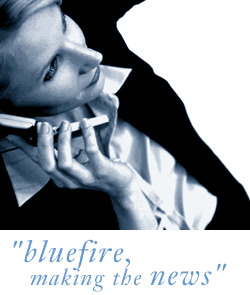 Bluefire Consulting | BMS Commissioning Engineer : BMS, building management system, BAS, automation, TREND, Siemens, Tridium, commission, electric, engineer, technical, DDC, wiring, HVAC, survey, project, programme, LonWorks, BACNet, SOAP, XML, Honeywell, London, DR.
We are currently recruiting for a BMS Commissioning Engineer to work for a large energy management company who are looking to increase their headcount following a massive investment. The organisation believe in providing an excellent service for their customers and reward hard work with increased development and progression opportunities. As a successful BMS Commissioning Engineer you will be responsible for carrying out scheduled projects across a variety of sectors throughout London. As a successful BMS Commissioning Engineer you will be responsible for carrying out scheduled projects across a variety of sectors throughout London, supported by the regional office in Central London. BMS, building management system, BAS, automation, TREND, Siemens, Tridium, commission, electric, engineer, technical, DDC, wiring, HVAC, survey, project, programme, LonWorks, BACNet, SOAP, XML, Honeywell, London, DR.